Discussions Magazine Music Blog: HERBIE HANCOCK/The Imagine Project: Available 6/2/2010! HERBIE HANCOCK/The Imagine Project: Available 6/2/2010! Los Angeles, California. Herbie Hancock’s “The Imagine Project”, the new CD from multiple Grammy-winning artist and musical pioneer Herbie Hancock, is an unprecedented international recording and film project featuring collaborations between music legend Herbie Hancock and over a dozen superstars from every region of the planet. Utilizing the universal language of music to express its central themes of peace and global responsibility, the musical collaborations combine Hancock’s genre-defying musical vision with the “local” musical identity of cultures from around the world. Additionally, noted Oscar-winning filmmaker Alex Gibney (“Taxi To The Dark Side”) is serving as one of the film’s producers with veteran music producer Larry Klein serving as one of the album’s producing consultants. “The Imagine Project” is set for release June 22nd via Hancock Records/Red. Tracks include “The Song Goes On” with Anoushka Shankar (sitarist daughter of Ravi Shankar), Chaka Khan and Wayne Shorter which was recorded in Mumbai, India, along with a stellar group of Indian musicians; “Don’t Give Up,” a duet with guitarist extraordinaire Jeff Beck recorded in London featuring Seal and Pink, “Imagine” with Konono No. l, Jeff Beck, Oumou Sangare and Lionel Louke recorded in Paris and London; “Tamatant Tilay/Exodus” featuring Tinariwen, “Times They Are A Changin’” featuring The Chieftains, Lionel Loueke and Lisa Hannigan recorded in Ireland; “Jackpot” with Dave Matthews and Marcus Miller, “Space Captain” with Derek Trucks and Susan Tedeschi, “Mi Tierra” recorded with Latin superstar Juanes in Miami and a track with Brazilian singer-songwriter Ceu recorded in Sao Paulo. A global musing on the power of song to bring people together, the recordings for Herbie Hancock’s “The Imagine Project” have taken place in each collaborator’s home territory whenever possible, and embody the spirit, hearts, sounds, colors and flavor of each locale – a complete sensory musical experience. The result is an album/film without borders, both a celebration and a call to action. 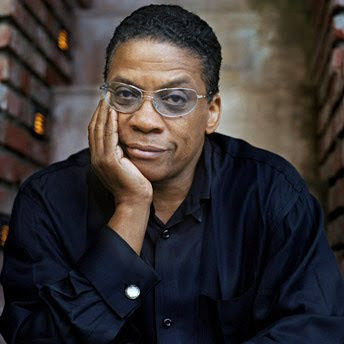 Herbie Hancock’s “The Imagine Project” is the next step in Hancock’s extraordinary ground-breaking career, and builds upon his recent successes and recognition. (2007 Grammy for Album of the Year – “River/The Joni Letters”, Time Magazine’s 100 Most Influential People in the World, multiple award-winning album/film, “Possibilities”, Jazz Chair for the Los Angeles Philharmonic, amongst many others). It is anticipated that “The Imagine Project” will take numerous forms -- from traditional album to potential “webisodes”, film/documentary, real-time performances, and special concert touring dates. Award-winning producer Larry Klein (Joni Mitchell, Madeline Peyroux, Luciana Souza, Tracy Chapman, Melody Gardot and Hancock’s collaborator on “River”) has served as producer on a number of the album’s tracks. While the CD and film will stand, on one level, as powerful testaments for the goals of world peace, humanity and tolerance along with respect for our planet, Herbie Hancock’s “The Imagine Project” shall remain, at its core, entertainment content that is creatively and emotionally deeply fulfilling.